I’m walking out of this with my little-boy astronaut bubble popped. I grew up watching THE WONDER YEARS with doe-eyed fascination of Neil Armstrong’s moon landing (isn’t that how the first episode started?) and waving America’s proud flag sense. After reading this, we’re still proud, but maybe not as attributable to the moon program as much as believed. Of those references, of which there are nearly 1,000 of them (20% of the end book is taken up with reference listings), what struck me personally were those tied to our culture, particularly movies and books. The author makes mention of John Updike and many others. I earlier referenced the Wonder Years. 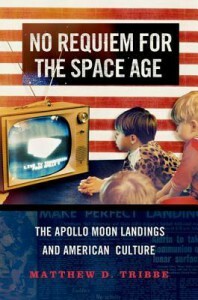 Interestingly, I just read Dave Eggers’s latest book (2014) that directly addressed the Apollo program and American disinterest and lack of continued commitment to the moon and shuttle program. The signs are there if we dig in and look. The author points them out in order, so they are hard to ignore. Thanks to Oxford University Press for providing an electronic review copy of this book: my space-age bubble is popped, but I can’t deny it.